Welcome to Northern State University. Information within this catalog will acquaint you with the history and objectives of Northern State University, admission information and academic standards, student life and services, and the academic offering. This catalog is not a contract and is published for purposes of information only. Rules, regulations, procedures, courses, programs and costs are current only on the date of publication and are subject to change as needs and reason may dictate. The recruiting, hiring, training and promoting of all persons in all job classifications, except where any of the above are limited by a bonafide occupational qualification. All personnel actions such as compensation, benefits, transfer, layoffs, returns from layoff, university-sponsored training, education, tuition assistance, and social and recreation programs. All aspects of student management, including but not limited to recruiting, admissions, scholarships and awards, employment placement, academic decisions and all student services. If you feel you have been treated unfairly or unjustly because of any of the above items, you should contact the Affirmative Action Office on campus. Each student is responsible for knowing and meeting graduation requirements stated in the catalog current at the time of his or her initial enrollment as a freshman. 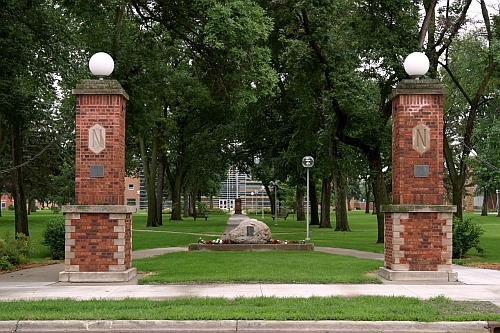 Transfer students must complete degree requirements in effect in the catalog at the time of their initial enrollment at Northern State University. Re-admitted students are required to meet degree requirements of the catalog in effect at the time of their initial enrollment unless they have interrupted their enrollment for at least one calendar year. In this event the catalog in effect at the time of re-admission is used to determine degree requirements. The catalog is the only official statement of requirements for each degree. Students are solely responsible for meeting those requirements. No course may be substituted to meet degree requirements except with the approval of the Registrar. To avoid any possible delay in graduation, students should obtain written permission prior to scheduling a course which they believe may be substituted for a required course. Disclosure Statements are located on our website.